During the EVS29 Public Day press conference that took place at Palais des congrès earlier today, Dalhousie University was announced as the winning team of the Fifth Annual EMC Student Competition. Louis Tremblay, President & CEO of AddÉnergie – main sponsor of the EMC Student Competition since 2013 – announced the winner. This Competition is open to undergraduate engineering & business administration teams from Canadian Universities and Colleges. This year, five teams participated: McGill University, University of British Columbia, Polytechnique Montréal, Cégep de St-Jérôme and Dalhousie University. The panel of judges for the 2016 edition was comprised of Benoit Boulet, Associate Dean, Research & Innovation, McGill University, Charlotte Argue, Assistant Manager, Fraser Basin Council, and Robert Dupuis, Manager for the Montreal Region, Quebec Electric Vehicle Association. 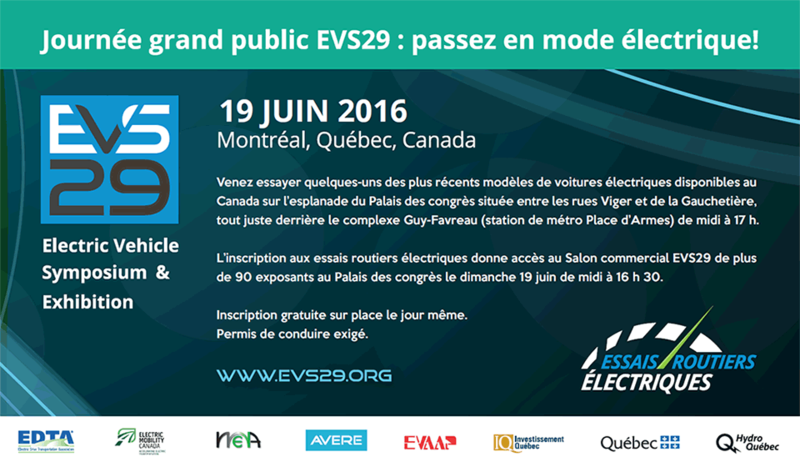 The winning team will receive an AddÉnergie charging station to install on their campus.